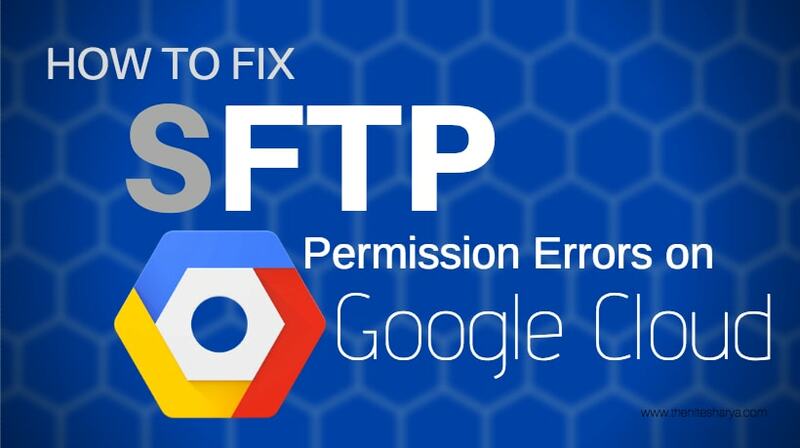 Hey friends if you are facing problems or errors while editing , uploading and deleting your files of Google Cloud Platform by using FTP software (Like: FileZilla) then this is for you. In this tutorial we going to fix that problem so let’s start. What types of Error is showing in FTP? In the image above you can see, the user is attempting to download wp-config.php file in their website’s in htdocs folder via FTP (FileZilla). In order to fix the problem, you have to edit the file’s permissions in Google Cloud Platform using the SSH (Linux Shell) terminal. Now if are connected to your website via SSH, the first thing you have to do check the permissions of the file you want to edit. See the example, checking the permissions of the htdocs (here is wp-config.php file and all wordpress file, its also a main folder of website) folder. In the above image you can see the command stat -c “%a %n” /opt/bitnami/apps/wordpress/htdocs is used to check the permissions of the htdocs folder. So that was a reason of Permission denied errors and File transfer failed errors, in order to fix the problem we have to set folder permission 644 to 777 so let’s see. Bingo! We got it, the image above you can see, we have the wp-config.php file downloaded successfully from the server via FTP after changing the file’s permissions from 644 to 777. Thnks…. Hope you liked, plz give comment.